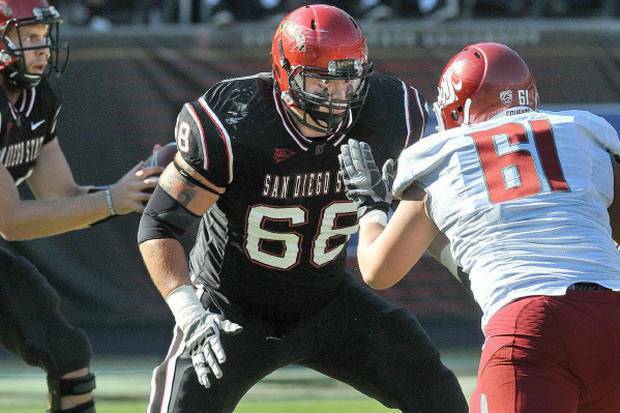 Former San Diego State offensive lineman and ‘Aztec For Life’ Nik Embernate has been signed by the Pittsburgh Steelers. The 6-foot-4, 300-pound offensive lineman went undrafted, but was quickly signed by the Steelers as an undrafted free agent. Embernate was a four-year starter for the Aztecs at right guard and will bring his physical, hard-nosed style of play to Pittsburgh to compete for a roster spot. His experience in college will surely bode well for him at the next level, as San Diego State frequently utilized him as a pulling guard in the “power” running play, a play often used in the NFL.